Flud Watches have been the purveyor of turntable inspired watches for a while now. Indeed, together we've made plenty of people happy with useful giveaways. 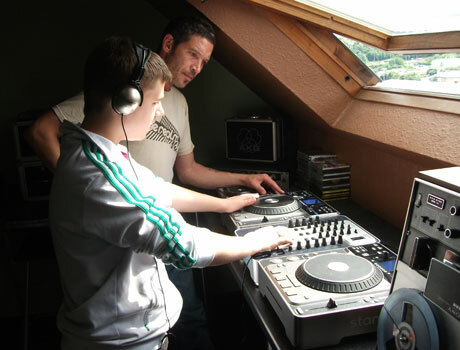 But not they've turned their attention to a related element of DJing - making beats. 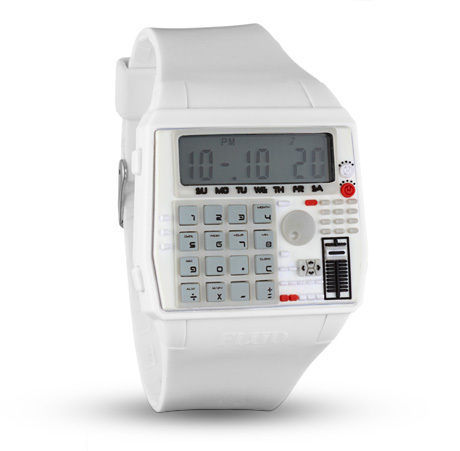 And while we all wish that this really was a micro MPC, this is in fact the new BPM watch. I am hesitant to start my first article with “THIS IS THE FUTURE OF EVERYTHING” but, well, after watching that video and mulling it around in my brain, I can safely say this has the potential to become the future for, well, almost everything. MIDI controllers have given us something we'd always been lacking, control, but they are still limited in their possibilities. The lack of options for rotary encoders in software, combined with the prohibitive difficulty of MIDI translation for them, has left us with few new ideas over the years. Enter the timeFrogII. Now that skratchworx is a fully fledged business and solid brand, keeping such a thing running and importantly moving forward is more than a full time job, leaving me precious little time to dabble with all the new shiny spangly tech that's coming along. Thus I've become aware of a widening knowledge gap that needs filling, and rather than allow the wheels to fall off the skratchworx bus, I've gone and bagged myself some new blood to plug the aforementioned gap. Say hello to Jared Helfer and Filespnr. DJs - can you dance? I've often said that a DJ is the very worst person to go to a club. All we do is watch what the resident is doing, how they're doing it and on what gear - and pretty much always think to ourselves how terrible they are, as is their music choice, skills and gear. Often we'll simply sit and moan ad infinitum all night long, or play the wall being all cool and nonchalant like. And this led me to a question that I've never asked before - your job might be to make others dance, but outside of the head nodding behind your gear, do you dance? Indeed, can you dance at all? Despite what some of you may think, I'm don't sleep on a pile of nextlevelness or wipe my arse on fresh crisp £50 notes. I use used ones for that as they're softer. But I do what I can with what I have, and one of those things is to hook people up with other people for mutually beneficial exchanges. Thus when old friends of mine Waxworks and Pedestrian asked if I knew anyone who would be interested in getting involved in their respective important ventures, I dug into my virtual rolodex and sent a few mails. One company who saw the benefit in helping out worthy causes was Stanton, and they're officially and quite rightly shouting about it. 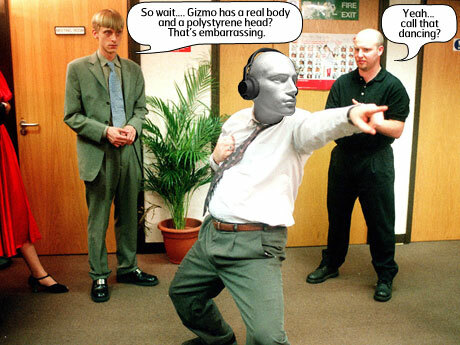 You'll recall Attigo's spiffing touch screen technology that essentially put DVS waveforms under your fingertips for a much more tactile manhandling of your digital music. Well sadly, this was all made rather redundant when the iPad came along, and doubtless sucked into the R&D lab of Native Instruments where Attigo creator Scott Hobbs now resides. 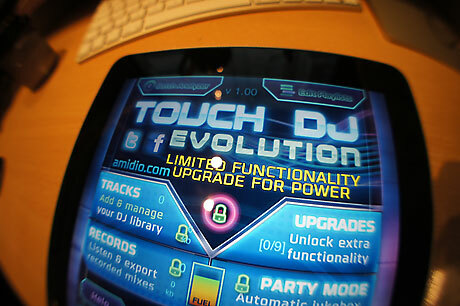 And the nearest implementation I've seen since is the new Touch DJ Evolution - a complete DJ solution for your iPhone and iPad. Every now and again, something comes along that's hard to neatly pigeonhole in a bid to understand it better. Youtube's scratch professor Alexander Sonnenfeld now has hardware that matches the name of his Youtube alias. Tonspielzeug literally translates as Tone Toy, and like the stunning Scratchophone before it, is a custom built all in one scratch machine. But there's a little more to it than that. 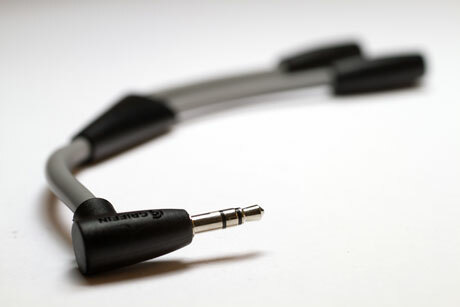 With so many interface-challenged MIDI controllers on the scene, there's a market for really simple audio interfaces. Numark's DJ|IO is one such device, but has been a less than pretty addition to Numark's range. So it's had a minimalist makeover, and now comes with a similarly minimalist version of Virtual DJ. 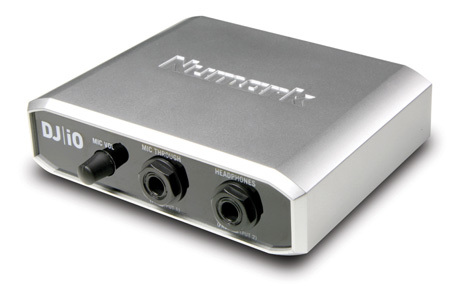 A little while ago, I reviewed what I called the biscuit tin aka Numark's NDX800. This is their top of the range tabletop unit and a very nice piece of work it is too. So when I saw "NDX900" at the top of some PR, I had high hopes of some amazing ubedeck. It however turned out to be an 800 with an extra audio interface and Traktor 2 LE. Oh well - it's still really good. You can always tell when there's a trade show on, because a stream of emails headed Numark, Akai, Alesis and whatever company the mighty mothership might have bought this month comes our way. And this time of year, it's Summer NAMM - you know, the one that DJ related companies tend to ignore. But there are a handful of goodies to share with you, but not quite the avalanche that Winter NAMM brings. 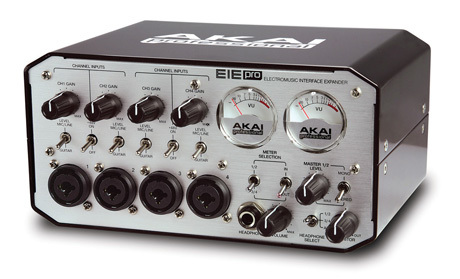 First up is a rather splendid retro looking audio interface - the Akai EIE isn't for DVS users, but more for connecting a plethora of other music devices to your laptop. After all, laptop inputs and outputs are pretty sucky. For those of you amongst the extensive skratchworx readership who find English as a second language, you'll be used to my casual dropping of words that require Googling*. Epiphany is likely to be one such one such word (and probably for a good number of native English speakers to). But researching the previous Pioneer DJM-2000 story, I experienced one - something that reminded me that no matter how much super shiny technology I shovel under your noses, or how much skill is displayed by next level DJs in promotional clips, it's all about the music. And here's why. * Handy hint - double click any word on skratchworx and watch the magic happen. Like many Mac users, I've been waiting for the big cat aka OS X Lion 10.7 to roar its way into the app store for a while now. But today, it was unchained and is now sucking up a good deal of the internet's bandwidth as people leap into the Lion's mouth feet first. But is such a move as foolhardy as doing it with a real Lion? I've had a dig around the various software vendors for some sort of official word about whether your favourite software is borked. UPDATE: Virtual DJ 7 fully compatible. The Pioneer DJM-2000 is the DJ equivalent of owning a starship. It is just so crammed full of nextlevelness that a few words to introduce it cannot do it justice. It is safe to say that this particular Pioneer product matches the great expectations raised by its lofty price. I'm sure than many of you have simply skipped past old stories of this mixer, if only because there's no way you could afford such a thing, but take a look at the above video to see what the latest landmark firmware v2 update can do. While Serato's recent efforts have seen them total rebuild ITCH to make it more Scratch Live-like, they obviously don't want to move the goal posts too far away. For for the most part, the just announced v2.3 beta lacks the whizz bang of amazing nextlevelness feature-wise, but instead comes with more techy updates. At Musikmesse 2011, Serato finally gave expectant users a glimpse of what they could expect when ITCH 1 finally makes it to ITCH 2. And while it does operate in much the same way, the direction was clear. Having listened to much online chatter about how the end user just wished it looked like Scratch Live, Serato have now made ITCH 2 a public beta, but taken it quite a bit further than just a paint job. There have been many famous quests throughout history and literature. King Arthur's quest for the Holy Grail and Frodo's quest to destroy the One Ring are notable examples. But these look like nothing more than day trips compared to the epic task that is Elliot Marx's quest to shorhorn his Innofader into every damned mixer that has ever been attached to a turntable. But he's not one to take such a journey lightheartedly - he's now making his mission even harder by taking on MIDI controllers too. Say hello to the Innobender. Wireless - the iPad is positively brimming with it. Yet for some things, you still need good old fashioned wires to make things happen. This is very true of DJing properly with iPads, and that's where Griffin's DJ Cable comes in. It does its best to make up for the iPad's shortcomings by giving DJs a split output from algoriddim's djay app. I got one in and gave it a spin - well as much of a spin as you can give anything in the digital age. 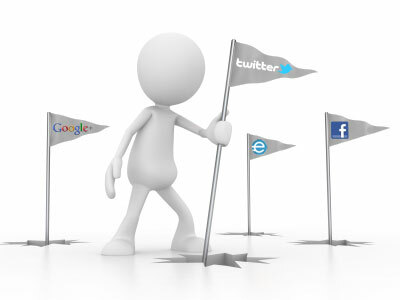 Friday is a big day in social media. 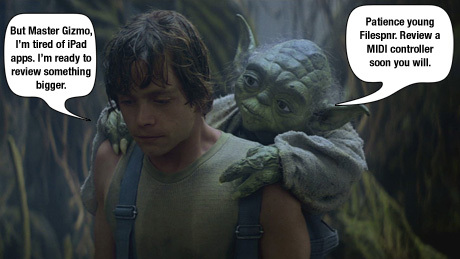 It's when Twitter users do the whole follow friday thing and recommend other Twitter users to their Twitter followers. Yep - it's hard to write and sounds totally ridiculous right? But social media isn't my thing to be honest, and while I realise that it is an important and useful tool, my own presence is a tad confused. So let's fix that. I've seen some things in my time doing skratchworx, but this video has left me dumbstruck with awe and hope. 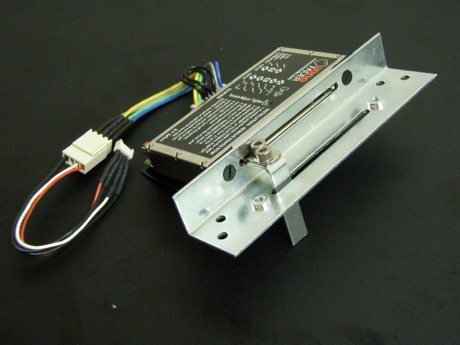 For a very long time, I've wanted a very portable scratch device - one deck, one fader with a built in looper. Such a thing has always eluded me, but seeing this fills me with hope that it might happen. What you see is the Numark IDJ Live controller, that runs with algoriddim's djay for iPad and iPhone. What is quite amazing is that the iPhone is powering the whole thing. Back in the good old days, when the DJ's life was considerably simpler, there was an awful lot of one size fits all. You had decks and a mixer, and within reason you could be sure that ordering a flightcase would see your gear safely cuddled and kept safe. But MIDI controllers come in all shapes, sizes and build qualities. So it does become a royal pain in the arse for bag manufacturers who are forced to work in a one size fits... well not many. But Magma are working hard to keep their range as lean as possible with bags that aims to carry your controller, as well as the assorted gubbins necessary for today's digital DJs. NS6 - it cuts so fresh. 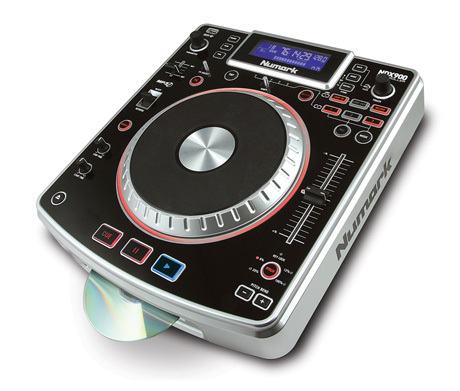 Numark's NS6 has never directly pitched itself at the scratch market - that's what the NS7 is for of course. But that doesn't mean that it can't scratch, but it doesn't scratch quite as good as it could. Numark read the review, and taking this comment on board, have come up with a quick fix for the slightly too long lag distance by bringing out a free fader plate - but just for the first 100 people who shout loud enough. Pioneer's DJM mixer series keeps on growing. 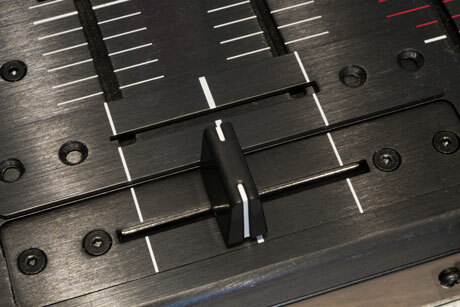 Generally this has been in their safe 4 channel stomping ground, but Musikmesse 2011 saw them throw their hat into the DVS ring with the new Traktor Scratch certified DJM-T1. Since then, info has been scarce, but bugger me if not one, but two demo videos turned up - an official Pioneer one, as well as an in-store demo at Phase One in the UK.